Join Accenture’s technology solutions team and you’ll employ cutting-edge software and tools to create and deliver innovative solutions for our global clients. In India, we now employ over 50,000 professionals across Bangalore, Chennai, Hyderabad, Mumbai, New Delhi and Pune. With long-term projects in a wide range of industries, you’ll have the opportunity to learn new skills and hone your expertise, as we work together to help our clients achieve high performance. 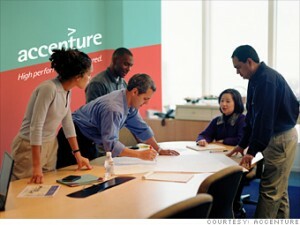 Choose Accenture for a rewarding and fulfilling career. Accenture Delivery Centers for Technology in India are a strategic cornerstone in the Accenture Delivery Network. Our technology specialists use their knowledge to provide practical programming and technology implementation for business. We are hiring talented, energetic men and women as part of our Accenture Science Graduate Program (ASGP) for our Bangalore and Pune Delivery Centers. If you meet the criteria above, please send your resume to : campus.queries (at) accenture (dot) com with the subject line ‘ASGP Hiring – Bangalore‘ (if you are interested in attending a walk-in event in Bangalore) and ‘ASGP Hiring – Pune‘ (if you are interested in attending a walk-in event in Pune). If you are shortlisted, Accenture will contact you with details on the walk-in envent. Next: Justin Bieber has been Hospitalized!! i would like be a part of ur company, as i’m looking to strt my carrier in a good reputed company like your’s. Hi i would like be a part of ur company ………. Hi even i want to join in ur company.. I want to be the part of your company to work. Hi i have done PCMC in PUC and BCA in joseph’s, is there a openings so that i can attend the interview and join. i want to join Accenture. what is the selection process ???? how can apply for job ? ?